I am sure most of us gain a bit of weight after all the festive seasons and holidays. So now is time to workout and slim down. 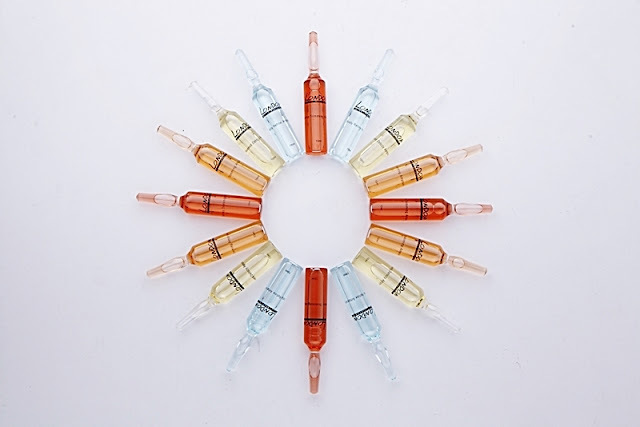 Oh talking about slimming, this is one of London Treatment Ampoules, it is a combination of slimming formulation that stimulates our slimming process. Do you want to try these slimming ampoules? I have giveaway here. Their consultants will examine and provide a detailed analysis. The type of weight problems will be identified and customized treatment that will be given to help us to achieve our figure and weight. The consultant will assist in scrubbing off dead skin cells for a softer and smoother skin. The dual function of the Hot Blanket helps you flush excess water and toxin from body as well as increase metabolism and refreshes the body. Imagine exercising while lying down! 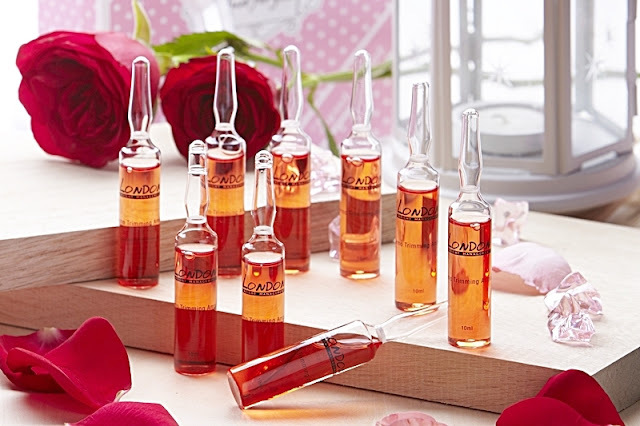 London’s fat-burning ampoule burns fat for up to 12 hours. Machine treatment will stimulate the muscles and boost body’s metabolism. Together, ampoule and machine treatment will break up stubborn fat deposits in the body and burn it. 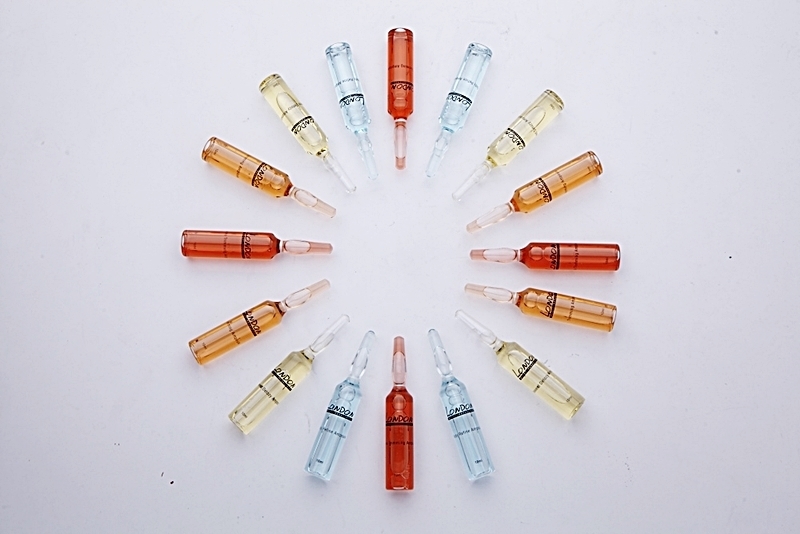 Body Cleanze Ampoule: Eliminates waste & excess liquids from the body, thereby increasing cellular metabolism. It also tightens skin, creating a more radiant complexion and svelte figure. Body Lifting Ampoule: Tightens loose skin and tones flabby muscles, effectively lifting unsightly cellulite and flab off body contours for a slimmer silhouette. Seaweed Detoxy Ampoule: Eliminate toxins and increase blood circulation. It assists in breaking down of toxins and increases metabolism. It also reduces the appearance of fatty deposits. Trimming Ampoule: Works fast and efficient to break down fat and reduces fat cells allowing users to achieve a curvier figure. It also smoothens and firms skin for a more youthful appearance. Body Perfect Ampoule: Reduce the signs of cellulite, eliminate toxins, improves body contours and circulation as well as to increase metabolism. Bust Firming Ampoule: Acts directly on the breast tissue and muscles to improve skin tone as well as to lift and enhance the cleavage. It refines and firms breast contours, which enhances the body’s youthful qualities. Thermo Trimming Ampoule: Refines and redefines body contours with long-lasting effects. After the treatment, the consultant will weigh and take down our body measurements for a comparison with the weight and measurements before the treatment. Thousands have tried and testified to London’s Ampoule Slimming Treatment, which guarantees up to 3kg or 8-22cm loss in the first session. The customer will be bringing back the ampoules for self-treatment and maintaining their figure. It is advised to apply after bath and enjoy a 24 hour fat burning sensation. If you would like to try out this slimming treatment, you are at the right place. Now I have ONE FREE slimming treatment for you. All you need to do is go to this link and get it http://bit.ly/1QVfPW1 or you can call their call our hotline at 03-2614 1234 and quote “sunshinekelly” to redeem it. Heard about this brand many years ago, now they have this improved ampoules...so good!